So you’re looking for a vaporizer for yourself but you don’t know whether to go with one that uses refillable oil tanks or disposable. Seems like a tough decision. But it’s actually really easy. 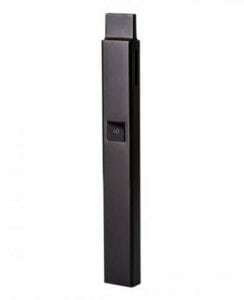 Truth be told, e-liquid vaporizers with refillable tanks are better than those with disposable cartridges. You have your choice of any flavor. And you don’t have to make frequent trips to the shop for more tanks. But refilling is a pain, right? Not really. Most refillable tanks have a filler hole. Just insert your dropper and fill up. Ok, but refillable vapes are more expensive, aren’t they? Not necessarily. There are plenty of refillable vaporizers out there that are priced similarly to disposable tank units. Thin and light as a flash drive, sleek and powerful as a stealth jet, the Cora Vaporizer behaves like an e-liquid vape from the future. Rather than rely on the standard 510-threaded oil cartridge, Cora features its own Cora Pod, a magnetically attached refillable tank. Cora Pods snap right in and out of a port in the Cora Vaporizer, so loading is much faster and easier. To refill, just twist the cap on the top of the pod to reveal fill holes. Unlike most e-juice vapes, the Cora Vaporizer comes with silicone dropper joints that slip onto the end of the dropper to give it a narrower syringe-like tip, preventing spillage while loading the Cora Pod. What sets Cora vaporizer apart, besides its hassle-free filling set up, is its design. While most take the form of a vape pen, Cora has a monolithic shape with a matte black build made of sturdy yet lightweight zinc and aluminum alloy and carbon fiber. It’s easy to conceal. And the zen-like design translates into ease-of-use, as we see in the snap-on magnetic pods and simple single button control. With a 500mAh battery with 1.4oHm resistance, Cora Vaporizer delivers big clouds of smooth, flavorful vapor. Sleek, compact, and boasting unprecedented ease-of-use, the Cora Vaporizer takes vaping to another level of convenience. As far as stealthy vapes go, it doesn’t get much more discreet than the MiniMax FOB. This is disguised as a car key FOB, so you can carry it anywhere and keep your vaping incognito. MiniMax FOB is perfect for those who vape outdoors and don’t want to draw attention to their session. It’s also compatible with any e-liquid, and unlike other vapes of its size, it can be refilled. 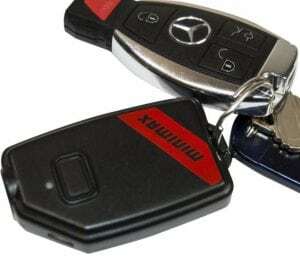 With USB charging and a refillable oil tank, MiniMax FOB is the ideal companion for on-the-go vaping. The question is, can such a small device serve up decent vapor? The answer is, yes. Batteries are getting smaller and stronger, and the MiniMax FOB holds an ample 500mAh battery with a 4v output despite its small size. The MiniMax produces small, tasty hits akin to a vape pen. But no one will know it’s a vaporizer. KandyPens took what makes affordable oil pens great and left out what’s not so great. The finished product is the KandyPens Slim, a very compact, easy-to-use vape pen with a higher build quality than disposable units and a refillable tank to boot. Above all, it’s refillable. KandyPens Slim is designed for oil concentrates and juices alike and offers a discreet, enjoyable on-the-go vaping experience. The KandyPens Slim boils usability down to a buttonless autodraw battery that’s easy-to-use. Just take a hit and the KandyPens Slim will heat up and deliver a tasty cloud. Because this e-juice vaporizer is so quick on the draw, it’s perfect for vaping on-the-go. You can take a hit within a short window of opportunity then go about your business. If you’re looking for an affordable pen, but want one with excellent vapor production and a refillable oil tank, go with the KandyPens Slim. Now for a feature-rich e-liquid vape for the cloud chasers. With great vapor production and an affordable price tag, the Vaporite Amber L is an excellent choice for e-liquid enthusiasts who want quality on a budget. 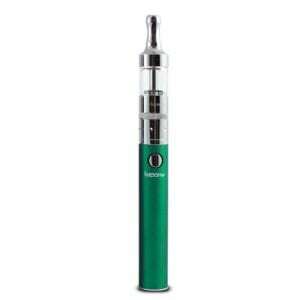 The Vaporite Amber L features a formidable 1600mAh battery that boasts longer sessions. This e-juice vaporizer also features a rebuildable oil tank so you can customize your coils to your liking. In terms of vapor production, the Vaporite Amber L delivers big, lung-expanding clouds with a robust flavor. Vaporite Amber L already has everything you need to enjoy e-liquids on-the-fly. But it also has something you rarely see in vaporizers, let alone e-juice vapes. Bluetooth technology. You can monitor temperature, usage, and battery power from your smartphone. Another perk of the Vaporite Amber L is how easy it is to refill, and how much e-liquid the tank holds. You can enjoy clean-tasting e-juice vapor without the hassle of refilling frequently or making a trip to the shop for more cartridges. If you’re looking for the best liquid vaporizer under $20, the G Slim Hookah is a noteworthy option. This is an incredibly compact and durable considering the low price. And the vapor is top notch for an affordable vaporizer. The best part? The 0.6ml tank is refillable, a rarity among those in this price range. Just remember to prime the wick of the atomizer with a single drop of e-liquid when you first take the unit out of the box. 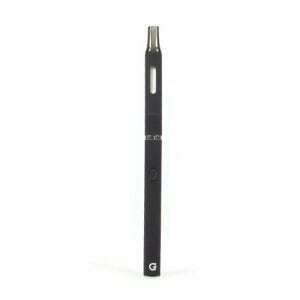 G Slim Hookah is one of the most compact vaporizers out there. But don’t let the small stature fool you. Expect decently sized clouds of delicious vapor, which is really easy to make happen with a single button control. Just click the G Slim Hookah power button five times to turn it on, then hold the button down and take a hit. G Slim Hookah is something you can depend on for rapid hits on your feet, without breaking the bank. 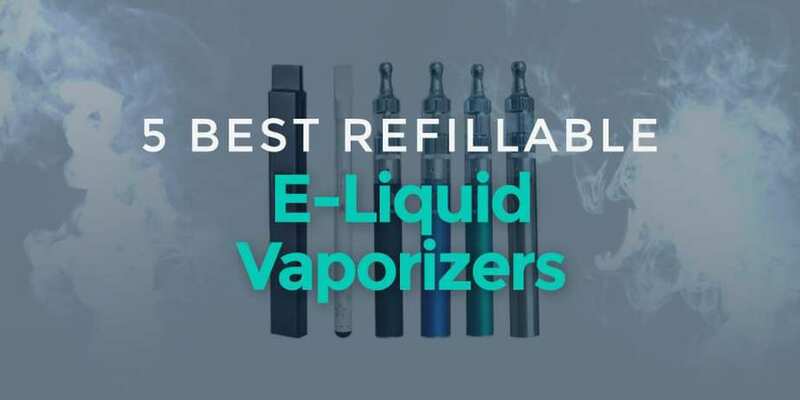 If you’re using disposable e-liquid tanks because you want to save money, consider picking one of the best refillable vape pens from the list above. They’re slightly pricier, but you’ll save money you’d otherwise spend on cartridges, and you’ll waste no time making weekly trips to the stores.